There is plenty to do and see in 'the windy city', starting in the city centre with the Parliamentary District. Here you'll find the architectural masterpieces of Wellington, including the Old Government Building, the second largest wooden building in the world; the unmistakable modernist Beehive, the executive offices of Parliament; Parliament House and the Victorian Gothic National Library. 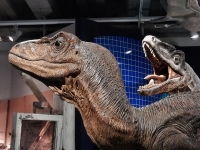 Te Papa museum is also one of the city's main attractions with a large variety of exhibitions for all ages to enjoy. 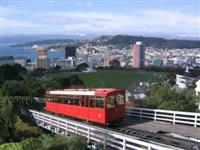 Venturing further to the edges of the city, the cable car takes people up to the Botanic Gardens for vistas of the city centre and across the harbour to the Hutt Valley, one of the scenic locations used in the filming of 'Lord of the Rings'. Another film site is Mount Victoria, offering sweeping panoramic views of the city and its suburbs, the surrounding hills and bays, and the harbour.